We Are Paying CASH For Homes in Grove City Today! Do you want to sell a house in Grove City or the surrounding area? If so, we would love to make you an offer! We are direct buyers who can close FAST! We don’t care about the home’s condition, your situation or the size of the home! We have been in the business since 2005, and have streamlined the process, making everything run smoothly from start to finish. There are no hidden costs, fees or hoops you will have to jump through. We have helped hundreds of people all over Ohio by offering them a real offer for their house! There is a reason why we are the top home buyer locally, we do things right! We give you more money, less stress and will answer every question along the way! 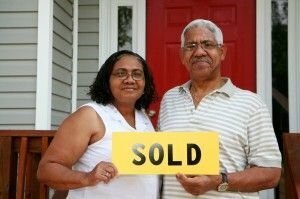 We are real estate professionals and home buyers. We understand the market and promise to always pay you a fair price for your home. Our offers are well thought out, giving you cash for your property fast! You don’t have to feel stuck with a run down house any longer! End the stress and expenses now! No matter what situation you are facing, we want to buy from you! Life throws curve balls sometimes, causing you to need to sell quickly. The actual sale of your home does not need to contribute to your stress! The process can be lucrative, fair, simple and stress-free. Really. We’ve helped many happy sellers who enjoyed a smooth and easy transaction all while getting a great price for their Grove City home. Don’t sign a listing agreement until you get our offer! With us, there is never any obligation or hassle, so you don’t have anything to lose! Learn about the benefits of a direct sale, and get our offer now! After you run the numbers, some people discover a direct sale is the most lucrative option. A direct sale to Sell House Columbus means you won’t have to pay a dime in commissions or fees. You don’t need to pay anything towards closing costs. There are no expensive repairs necessary and no upgrades requested. By selling now (instead of months down the road) you will save money on homeowners insurance. Your property tax obligation ends on the sale date, and you will no longer be the responsible party for the utilities. Selling your home the traditional way can take months and add stress into your life! Why pay an agent when you can sell your home yourself? We have streamlined everything, making the process easy and efficient. You will always be in the loop and understand everything going on. Selling does not have to be stressful! You can get an offer and a guaranteed close date by choosing a direct sale! Once you get our offer, the rest is up to you. You decide if you want to sell and you decide your closing date. We will run the numbers with you so that you can be confident you are making the right choice! Whatever choice that may be, we will never hassle you! We want you to do what is best for YOU! We will make you an offer on ANY Grove City house! Simply fill out the form to get started! Do you want to sell a Grove City house? A direct offer might be the solution you have been looking for! Find out if it’s right for you! Fill out the form above or call our office today! There is never any hassle, risk or obligation!